When you know who you are and know where you're going, you can show that characteristic to the world, by wearing an arrow necklace! This version, crafted in14kt yellow gold, has stunning shine and super style. 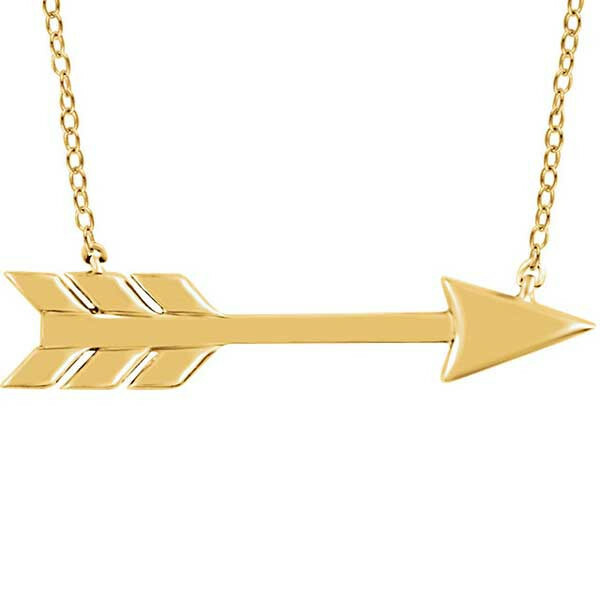 Put this arrow necklace on and you're good to go anywhere, any time!